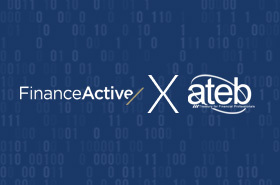 Finance Active is very pleased to be part of the ATEB TMS DAY organized for the Belgian Treasury Community. This event is a unique opportunity to compare Treasury Management Systems and Financial Softwares amongst the most used by treasurers. ATEB (Association of Corporate Treasurers in Belgium) is an association of experts formed in 1991. The objective is to encourage the exchange of information, best business practices and experiences amongst its members in true confidence and with integrity. Coming from a big SME or a large corporate organization, at the end of the day, visitors should be in a position to have a better idea of the advantages of Finance Active’s SaaS solutions, in comparison to TMS market followers.